“The Fountain” 2013. Hasselblad X-Pan, 45mm f/4 Hasselblad lens. 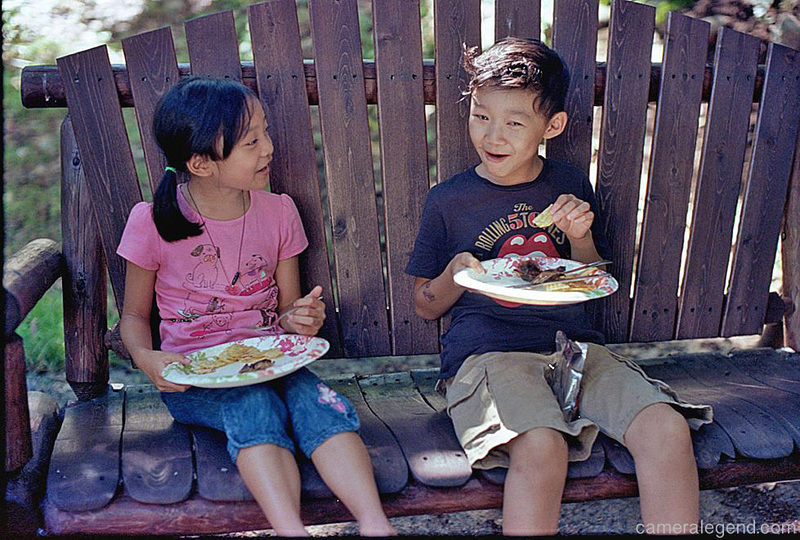 Film was probably Fuji Superia but will update for accuracy if I can find the information. Hello folks! Still here, still standing, better than I ever did, looking like a true survivor feeling like a little kid! Here’s the honest truth about my inactivity as I hate to say sorry all the time! I run about four or five different streams other than this blog so I’m spreading myself way too thin! Not just photography but music, etc. This is my baby of course and I really should just be completely on it! My apologies for not being able to give you my best at all times! So today’s posting is really a test. I’m working on a review of the Hasselblad X-Pan, the panoramic Camera Legend. I am wanting to see if these images appear good on your screen. 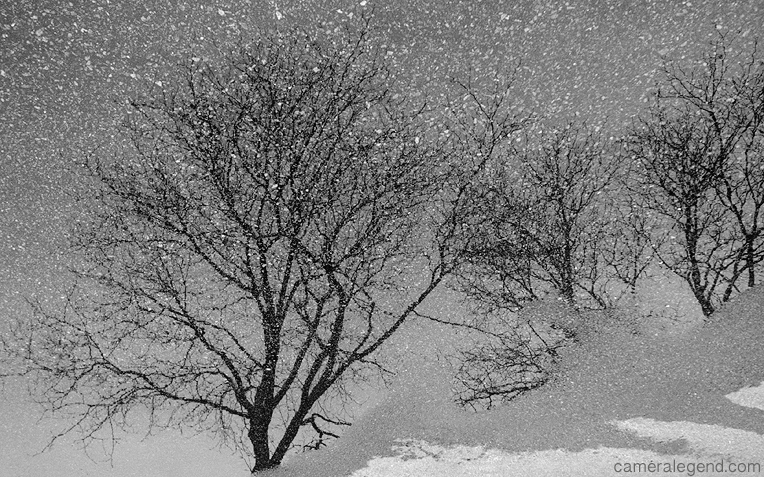 I feel X-Pan images are best viewed on a computer and not a phone. 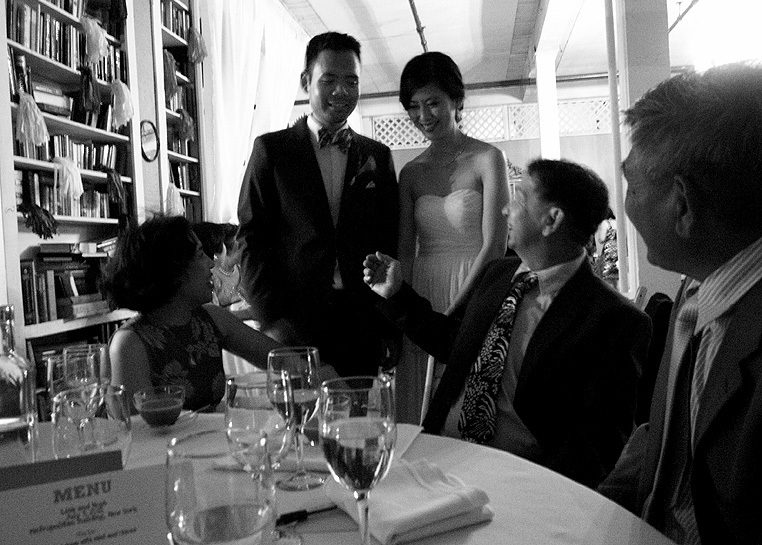 X-Pan images are large and long and they simply don’t have the same impact when viewed small. I don’t mind telling you about doing an X-Pan review before it’s published because there are some very fine reviews out on this camera already as it’s been around for some time. I don’t see myself bettering any of these reviews, just adding to them. At the same time, I would like to make a complementary YouTube video for it. But in all honesty, making a few cents if I make it to thousands of views is not inspiring so I’m not making it for that reason. I’m going to make it for you, my fellow camera lovers! UPDATE: I have checked it out myself and to me the image is way too small on the computer! Have to find a work around to show you larger images! Some great lighting deals from our affiliates, please check it out! Substantial savings! I actually had to turn the car around to come back and take the shot. I’m not so good on cars, but it looked to me like a Ford? If any of you out there can identify it, please do so! I did not come out of my car to take this shot. I respect people and did not want anyone freaking out! I know I probably would be disturbed if I saw someone coming up and taking shots of my car. But this is a vintage old car and it stands out in today’s world, so if I were the owner, I would probably have to expect it. 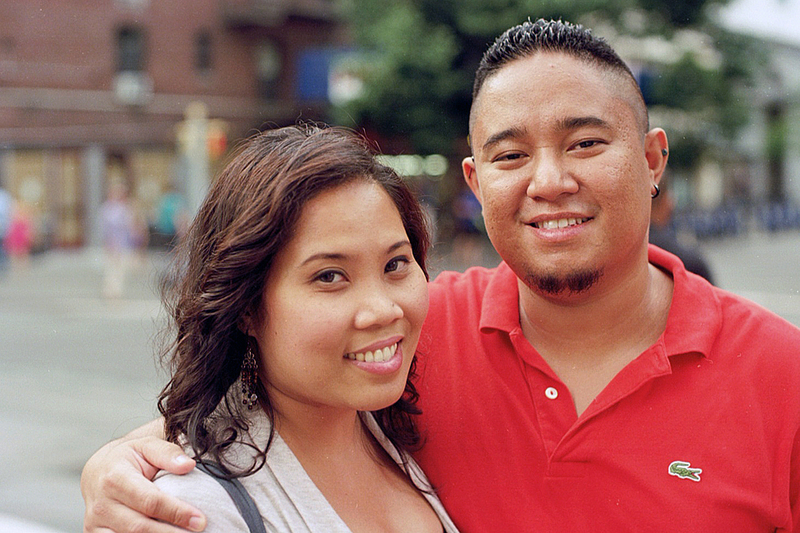 I shot this with my trusty and old Epson R-D1 and 40mm f/2 Summicron-M. I got this camera in 2006 and if you had told me then that ten years later I’d still be shooting with it, I’d probably say you were crazy! For one, I didn’t think I’d hold on to it for this long. Secondly, I didn’t think it would last this long. But I still have it, and it’s been surprisingly reliable. I guess I’m still one of those crazy guys (and there’s lots of us out there) who still carries a camera with them everywhere, even when a good cell phone camera will do. I don’t know, I guess I’m still old school. The Epson R-D1 is the world’s first digital rangefinder camera. It was introduced in 2004. Somehow, Epson beat Leica (well known as THE rangefinder icon) to the punch with this digital body which was made by Cosina and based on their own line of Voigtlander Bessa rangefinder film cameras. The R-D1 sports a 6.1mp sensor. It is, or is a variation of the very popular Sony sensor found in the Nikon D70/D70s, Pentax *ist D series, Konica Minolta Maxxum 7D/5D series and more. It may be digital, but no it’s not like an outdated computer where it’s unusable. It is a very dated sensor, but it was one of the best of its era and it still produces beautiful pictures. If you look to at the brick wall to the right of the car, you can see very nice and subtle shadow detail transitions. Very smooth, not harsh. This might have more to do with the 40mm Summicron as well, but I have to give the sensor credit too. So if you don’t have an R-D1, don’t worry. Just get one of the above mentioned cameras cheap and you’ll have pretty much the same sensor. The thing you won’t have is the ability to use Leica M lenses and the wonderful tactile feel of the R-D1, plus its glorious optical viewfinder. I’ve spoken, written, referenced this camera many many times, though I’ve never done a full or even partial review of it. As I’ve told many people, this camera truly feels and looks like its film camera equivalent (the Bessa R/R2/R3). It’s kind of funny because compared to a Leica, the Bessa film cameras do feel kind of cheap. Yet, in digital form, it feels better and more substantial than most digital cameras out there! It’s just normal with digital/analog camera comparisons, and I’ve come to accept it. 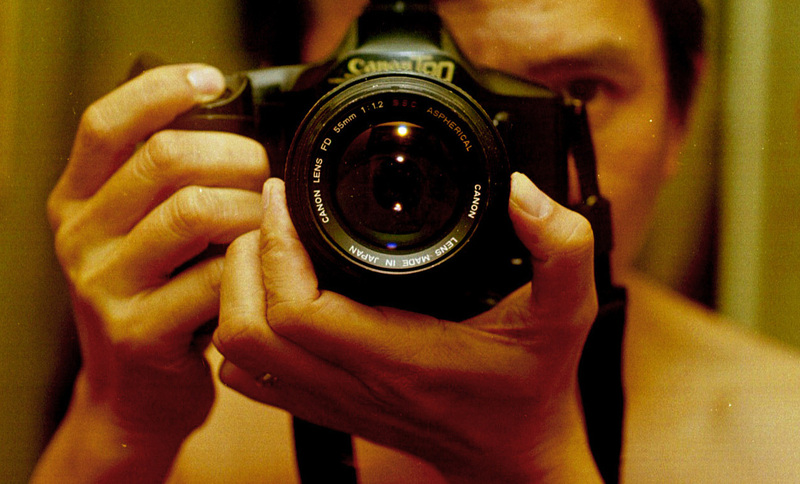 As an example, take the Olympus OM-1 film camera and then hold a OM-D camera next to it. As much as I love the OM-D’s image quality and shooting capabilities, there’s just no comparison. The OM-1 feels solid and hefty, the OM-D feels light and dinky. And the OM-1 was actually one of the lighter film SLR cameras. The 40mm f/2 Summicron has always been one of my favorite performers. It provides beautiful sharpness and tonal range. The lens is beautifully small, much like a pancake lens. Normally I find the 40mm focal length, especially the pancakes a little boring, but that’s because most pancakes start at f/2.8. The 40mm Summicron gives me an extra stop of light which opens up more possibilities, not only for the low light shots I take, but for the shallow depth of field I need for portraits. On the R-D1 it’s equal to around 60mm which makes it a little longer than a 50mm standard lens. It was introduced with the Leica CL, which was a collaboration with Minolta in the 1970s. The Summicron is made by Leitz although a Rokkor-M version, made by Minolta in Japan, is also available. Due to this collaboration, there has always been some debate among camera nerds as to whether the lens is really a Minolta or a Leica? All I can say is that it’s a great lens and that’s all I need to know. 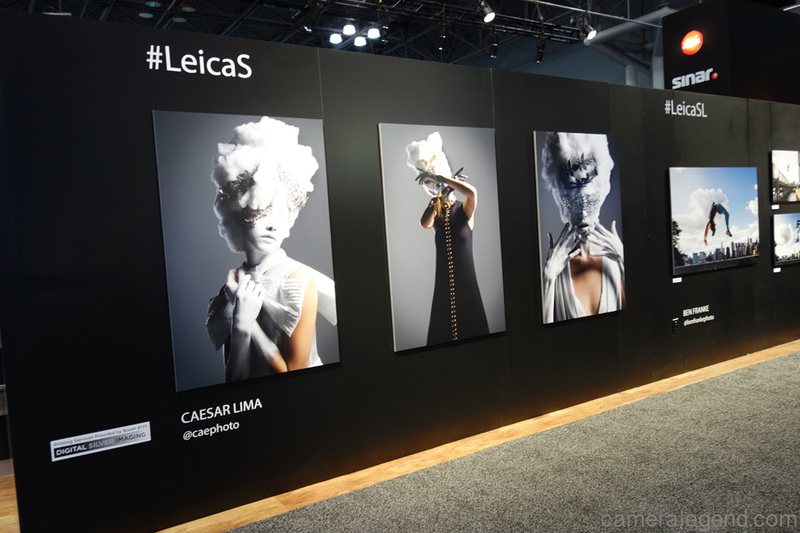 The Leica S and SL gallery of images. Anyway, I know there’s a lot of other “fish in the ocean” so I’ll try to give you guys a rundown of other things I saw. This is Part II and my final show report for this year’s expo, but it is by no means a “complete” report of the show, it would take way too much time to do that and I’m sorry if I left out anything someone might have been interested in. I leave the complete reporting for sites like dpreview, etc, etc. Canon had all their big guns out as well as their hot new lenses. Obviously, the cameras getting the most attention were the Canon 5DS and 5DS R, their 50 megapixel super DSLRs. 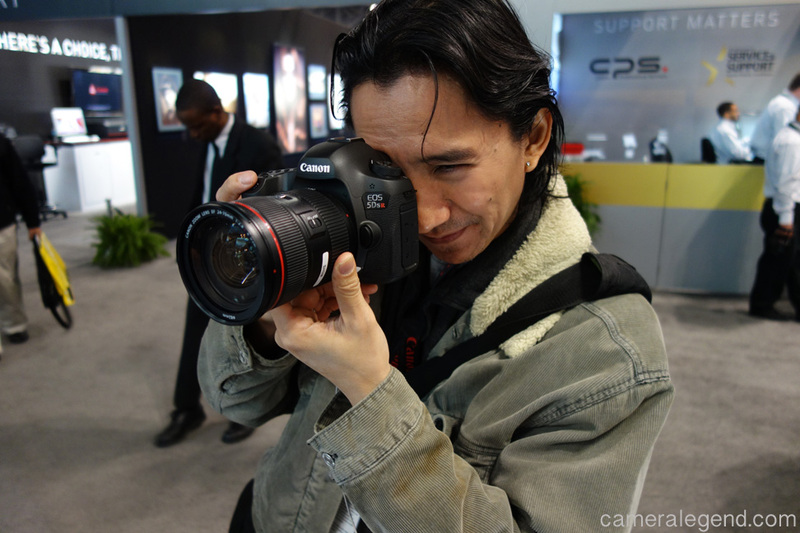 I tried the 5DSr and low and behold…it looks and feels like a 5D! I don’t know what else to tell ya! It feels good, it’s dependable, it’s a 5D series camera. Nothing super exciting, but you know it’s going to get the job done. Trying out the new Canon 5DS R, 50.6 megapixel champion with the 24-70mm f/2.8 II. Nice combo! The Canon rep did ask, to my surprise, if I wanted to put a card in there and try it out. Of course, I didn’t have a card on me! All these years I’ve gotten used to the idea that manufacturers won’t let you put a card in their demo cameras so I didn’t bring one. But I don’t regret it. What will I get? Some boring pics of the crowd at the expo? All the samples I need, I can find on the web anyway. 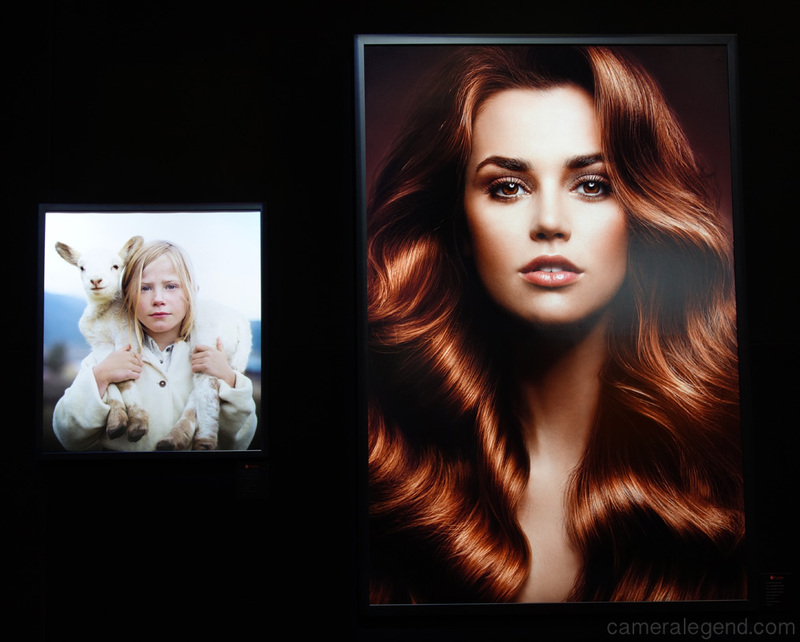 Canon did have some really nice large prints showcasing the capabilities of these cameras. They looked gorgeous, superb, but not mind-blowing. I’m not taking anything away from these incredible 50mp cameras, but I didn’t think the prints were anything that you couldn’t do with today’s crop of 20+ megapixel cameras. It’s really a new day in photography when one has a hard time being impressed with 50mp prints! Canon also had all their new lenses out, and I had a good time looking at them, although it’s not like I’m going to be getting any new lenses any time soon. 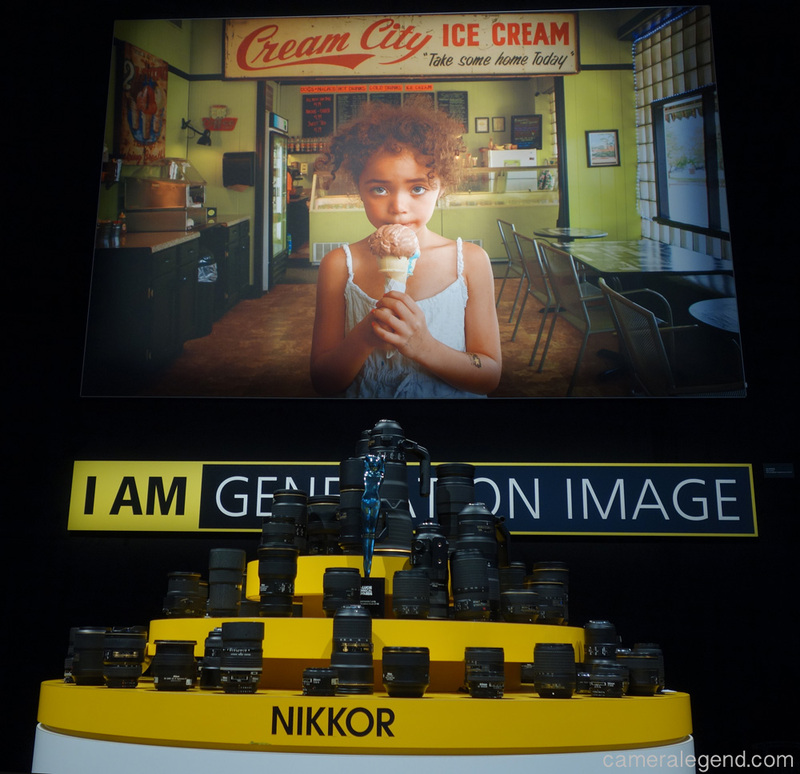 Nikon had their usual DSLR lineup at the show. Of course, the D4s was there, the Df, and surprisingly the very old D3X was also on hand. All their big daddy lenses out for all to drool and fool around with. Nothing new as far as I can see. 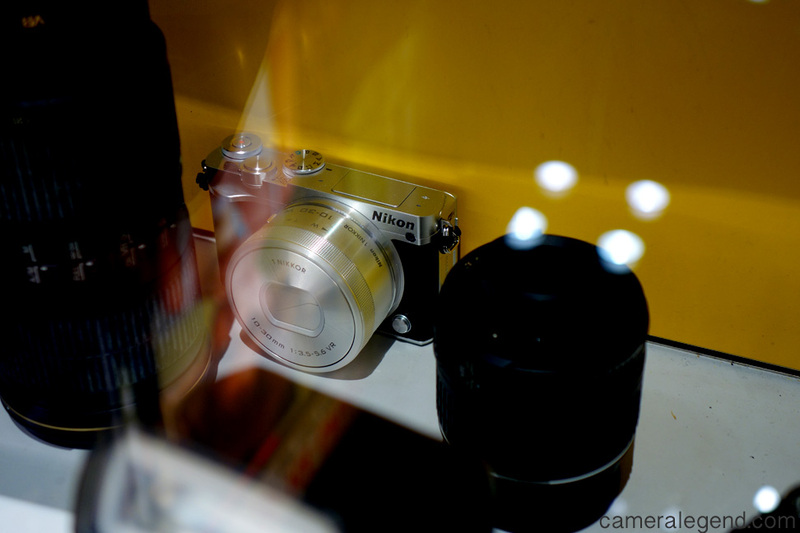 Coolest Nikon at the show! The retro looking Nikon J5 mirrorless. UPDATE 11/01/15: Just want to pass along some info for our Nikon fans out there that I have been informed of HUGE instant rebates going on for a limited time. 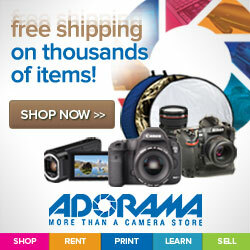 You can check out all the Nikon deals HERE. From what I can see some of the instant savings are up to as high as $1100!! on certain Nikon camera/lens combos. If you’re looking to buy new Nikon stuff, this is the time to do it! You may also find the Nikon deals HERE. While browsing/dreaming, I was amazed at the deals and wish I had the funds! For example, you can now get a new Nikon D7100 for close to the price of a USED D7000. This is a screamin’ deal for some of Nikon’s hottest cameras and lenses. I had a good time checking out the new Sony A7RII and A7SII, I couldn’t get my hands on the RX1R II due to lack of time. The new cameras felt great, but to tell you the truth, since getting my A7R last year I have very little interest in spending any more to ‘upgrade’ a camera that works well for my needs. I’m finally at a point, thank God, where I really am not interested in the latest and greatest! 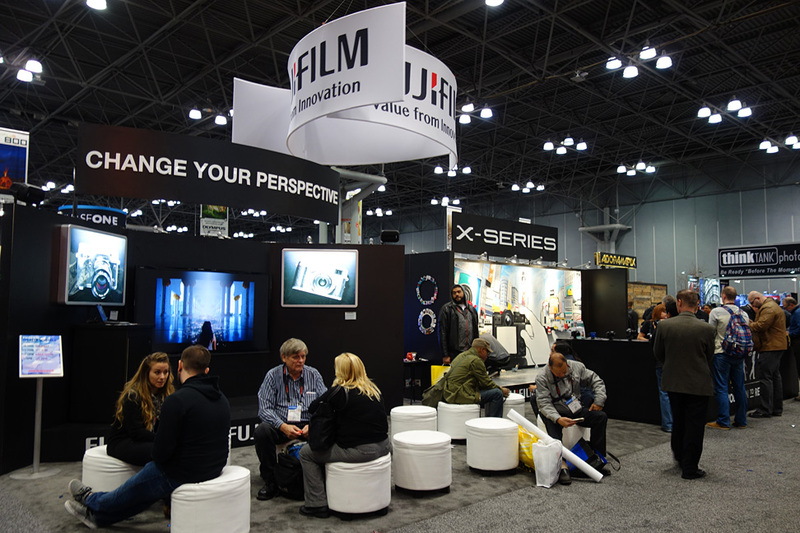 Fuji had a hot booth showcasing their latest cameras and lenses. I was impressed with the prints from the X-T1. 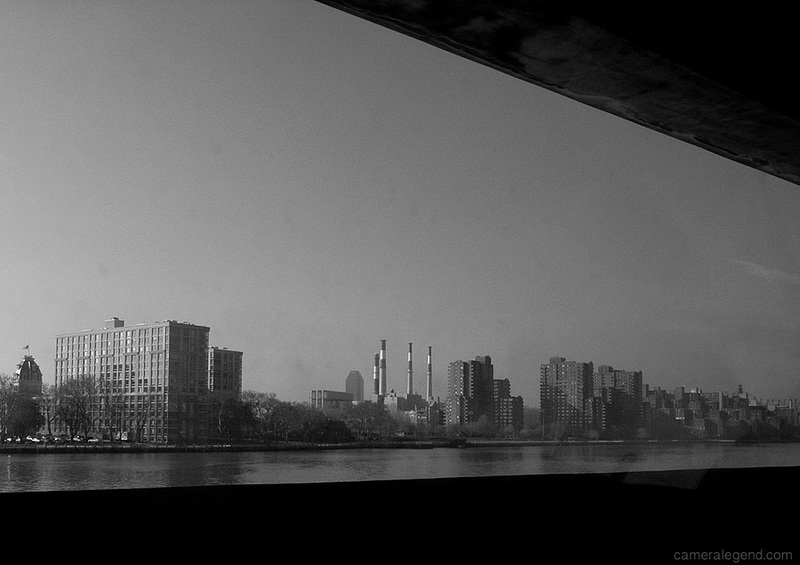 If my old X-Pro 1 had focused anywhere as good as the new Fujis, I would’ve never given up on the X system. The ever popular Fujifilm spot. Fuji also had a very cool “retro” area showcasing their popular line of Instax cameras. I give Fuji a lot of credit for being one of the very few manufacturers still dedicated to making instant cameras and instant film. Fuji posted some wonderful pics, mostly from their X-T1 cameras. Aside from the Leica SL (Typ 601), the only other camera I really wanted to see at the show as the fabled Ricoh/Pentax full-frame. Apparently, they had a near complete mock-up that was shown early on in the show, but it was no longer there when I went on Saturday. My thoughts on this? 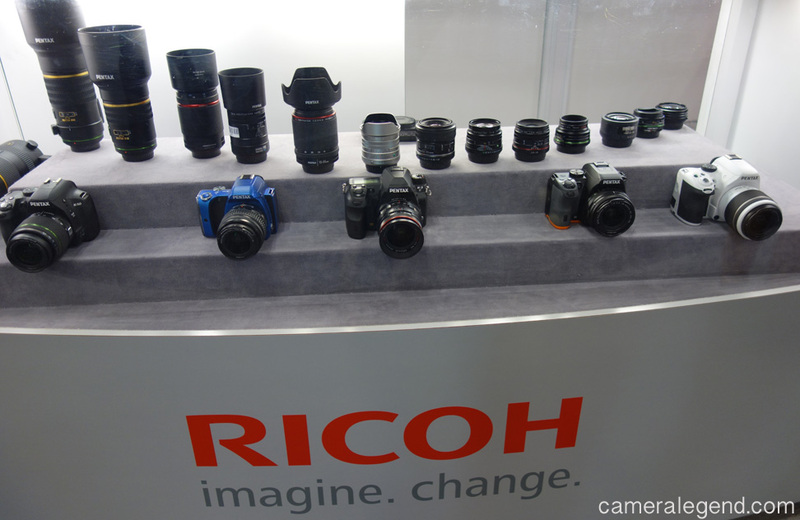 Ricoh/Pentax…guys, enough of this hide and seek! If it’s that hard and if it’s going to take you that long to bring out a full-frame DSLR, don’t worry about it! 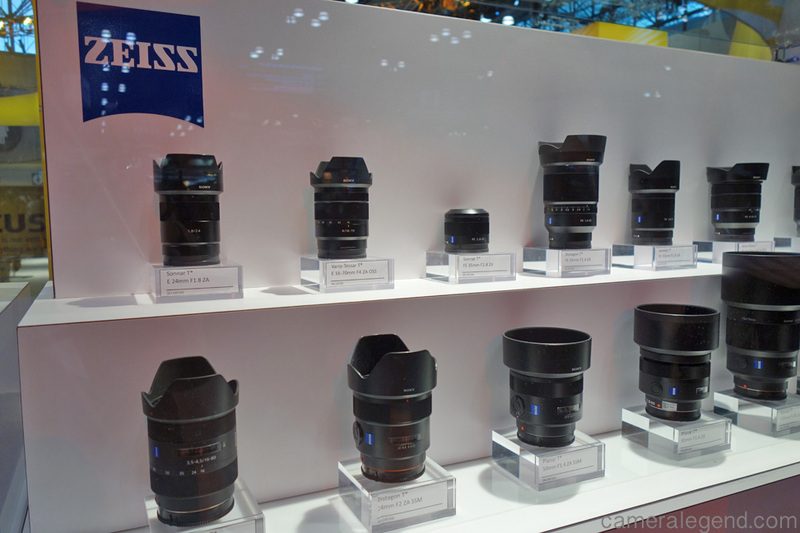 It may be a showcase product, but it’s not like you’ll be selling a boatload of these vs Canon, Nikon, or Sony. “Imagine. Change.” Ricoh/Pentax’s lineup. Always a very capable system and a great alternative to the Big Boys. I’m a huge Ricoh/Pentax fan, but they’ve taken way too long with this thing. I’m all for “getting it right” and maybe that’s what they’re doing, but the longer they take, the more likely the tech inside the camera will be outdated. 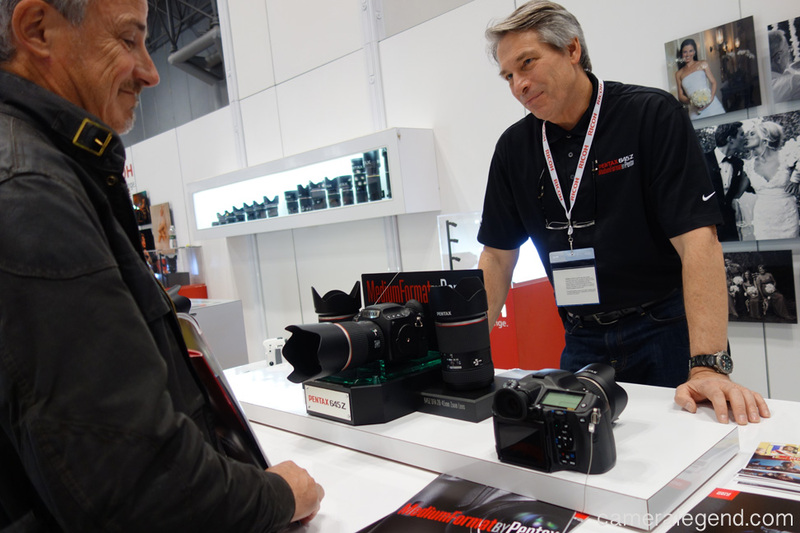 The PhotoPlus Expo is always a lot of fun, especially if you’ve never been there. But every year, the cameras and lenses have gotten better to the point where I feel it’s no longer all that exciting…for me, anyway. 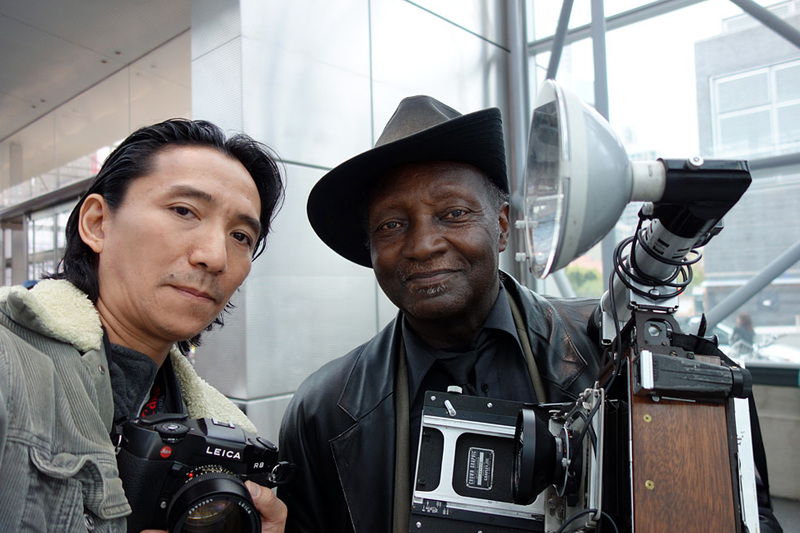 “Film Buddies.” With my analog brother, Mr. Louis Mendes, NYC street photography icon. The Master Blaster has always been good to me and I consider him a friend and an inspiration. I apologize to anyone who found this report lacking. I know there are a lot of Canon, Nikon, and Sony fans who probably wanted a little more. I’m not a reporter. I’m a fan. I went to the show as a fan of these manufacturers and their products, and I am relaying what I saw, what I experienced. “The Tank” 2013. My war-torn Canon T90 and 55mm f/1.2 Aspherical. They may be in “ugly” condition, but damn I love this combo! The Canon T90 is a 35mm SLR introduced by Canon in 1986. It was their most advanced model in the classic Canon FD mount. One look at the T90 and you can see that it was THE bridge camera to the Canon EOS line of cameras, which was introduced only a year later in 1987 with the Canon 650. 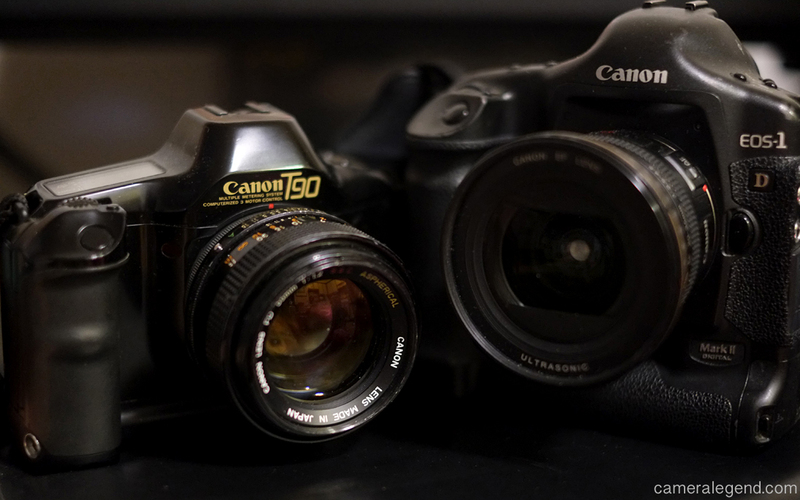 “All In The Family.” The Canon T90 from 1986, side by side with the EOS-1D Mark II digital from 2004. Note the family resemblances, despite the incompatible lens mounts. Although Canon introduced a Cosina made T60 model in 1990, the FD line was effectively over with the introduction of the EOS mount in 1987. Anyway, as great as the FD mount was, I believe that time has proven Canon right in their decision to change to the all electric EOS mount. With this mount came super-fast and near silent “Ultrasonic” motor autofocus lenses, super telephoto lenses, and some very unique “L” lenses such as the 85mm f/1.2L, the 135mm f/2L, and the 200mm f/1.8L, which are among some of the finest lenses ever made by anyone. The larger EOS lens mount also made it possible to mount “alternative” lenses such as Olympus OM, Nikkors, Leica R, and Contax/Yashica mount lenses to name a few, which was not possible with the FD mount. If you ever used an EOS camera, and most of you probably have, then you’d be pleasantly surprised to see and feel how much the T90 handles like an EOS camera with its buttons and front right hand dial. The camera is built well, although it feels a little plasticky with its polycarbonate body. It is however solid and rather heavy, especially with the required four AA batteries and a lens attached. I’ve used a couple of these cameras over the years and they have always provided near perfect exposure in aperture priority or program modes. “Village Of Love” 2013. Canon T90, 55mm f/1.2 Aspherical on expired Kodak Ektar 100. A little bit of love going on in NYC’s Greenwich Village! This image I think has a bit of that 80s look to it. My method of creating “vintage” modern photos is to use “old” equipment vs apps or filters. The T90 has a brilliant metering system, which included center-weighted, average, partial, and spot metering, highlighted by its famous “multi-spot” metering which will allow you to spot meter several readings in a scene and have the camera average them out for an accurate reading. You also have TTL flash with compatible Canon flashes. There are only a handful of film cameras with multi-spot capabilities, the other two that I can think of offhand would be the Olympus OM-4/4Ti and Canon’s own EOS-3. This is also useful if you’re one of those Ansel Adams acolytes who embrace the Zone system. I think the reason multi-spot is less of a selling feature these days is simply because with digital, you can just retake the photo if it didn’t come out the way you wanted. Progress has made life for us photo bugs easier, if not necessarily better photographers, technically anyway. “The Mac Is Back” 2013. Canon T90, 55mm f/1.2 Aspherical on expired Kodak Ektar 100. 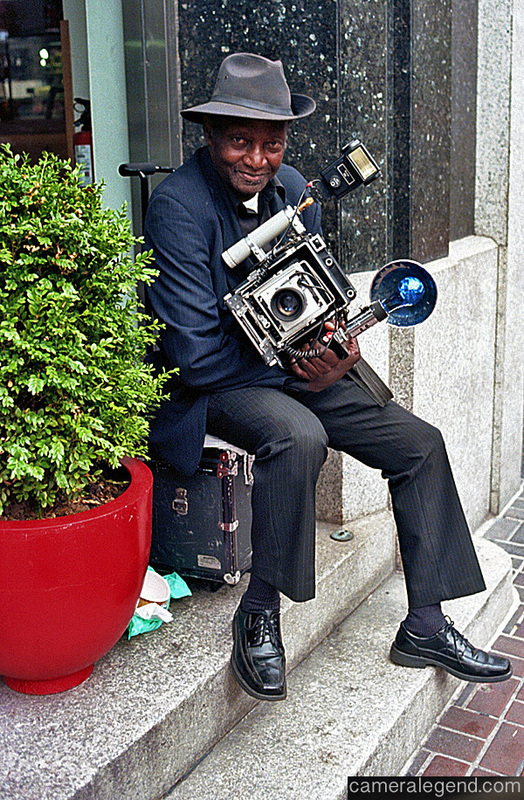 Legendary NYC photographer Louis Mendes. 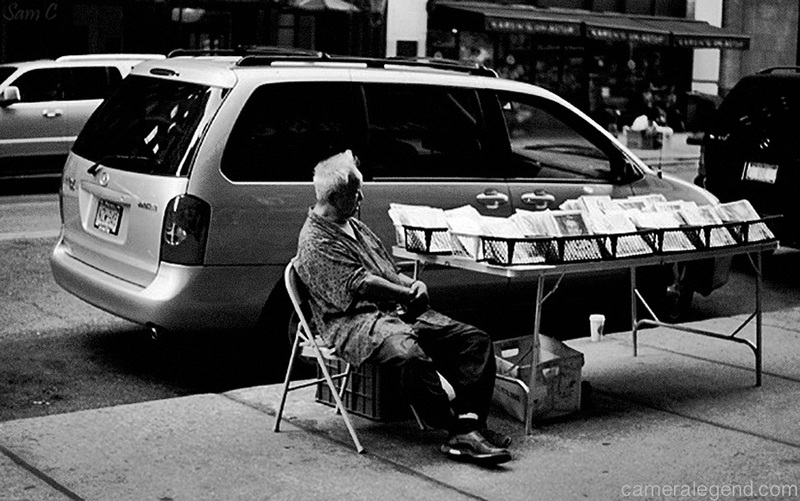 Lou is a well known figure on the streets of New York. 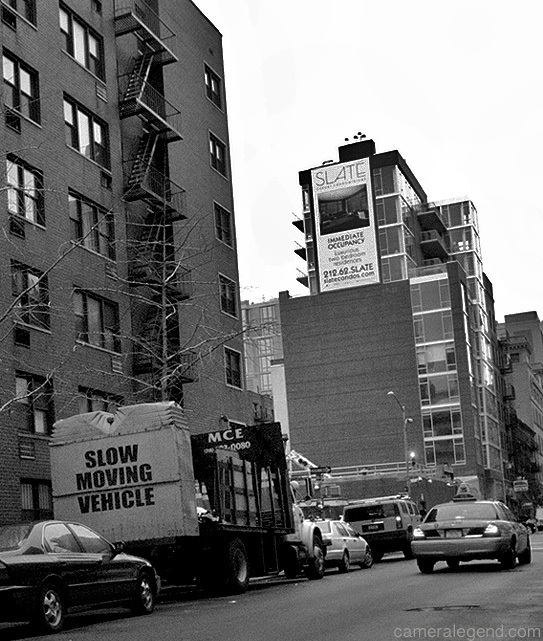 Even if you don’t know him, you probably have seen him if you walk around the streets of Manhattan enough. With his throwback “Shaft” look and his iconic Speed Graphic, Lou takes one of a kind instant portraits and has made a living and a legend out of it. When I saw Lou again about a year later, he actually remembered that I shot him with a T90. Sharp man! The Canon T90 and the vast line of FD and older breech mount lenses are among the best value in film photography today. If you’re a student, new to film, or an old pro looking to rekindle your photographic passion, and you love electronic cameras, the T90 and a couple of lenses would be a good place to start. If shopping for a T90, prices are dirt cheap these days and trending at $20 to $100 depending on condition. Anything more is a ripoff, unless a really good lens is included. You should also fire the shutter from time to time if the camera is not in use for long periods, as with all film cameras. This can, but is not guaranteed to help avoid the EEE error. The Canon T90 is a Camera Legend and considered by many to be the best camera Canon ever made. At the prices they’re going for today, you could have one of the greatest, most technically advanced film cameras in your hands for the price of dinner. Not a bad deal in my book! CONS: Prone to the infamous EEE error, mostly due to a sticking shutter problem; Electronics that do not age well; A bit confusing to use without user’s manual; Bulky and heavy with lens attached and batteries installed. The Ricoh GR Digital was an 8.1 megapixel point and shoot camera released by Ricoh in 2005 in Japan. In subsequent years, Ricoh released the GR Digital II, III, IV, and in 2013 they released their current 16mp GR with an APS-C sensor. Because of the similar naming scheme, the original GR Digital (aka “GRD” for short) is often confused with the current model when doing an internet search. All the GR Digital cameras are the offsprings of the GR1, a high end point and shoot film camera from 1996 that was made famous by the street work of legendary Japanese photographer Daido Moriyama who used the GR series extensively. The original 8.1mp Ricoh GR Digital. My favorite point and shoot camera of all time. Let’s be clear: I am only referring to the first version, which is the 8.1 megapixel GR Digital. This camera is perhaps my favorite point and shoot of all time, film or digital. It is in its basic form, it is a small sensor point and shoot with a fast and sharp 28mm f/2.4 lens. But to cut to the chase, its powers lie in its ability to produce “film-like” black and white images with a grit and grain that some say is similar to a Kodak Tri-X look. In color, it’s really quite unspectacular, especially at higher iso’s. In color, it’s almost like any other average everyday point and shoot. But in b&w, the camera shines. “Dreamscape” 2006. 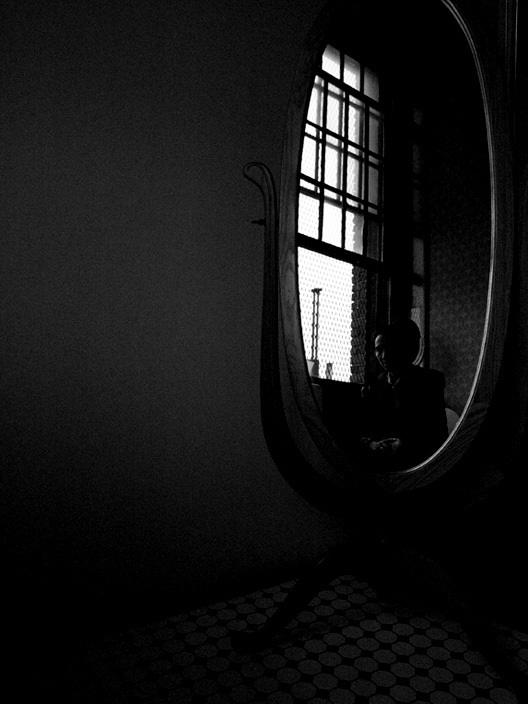 Ricoh GRD 8.1mp, ISO 64. While nothing could ever emulate real film, the GRD produces black and white images that I really love. It’s gritty, it’s raw, it’s real. 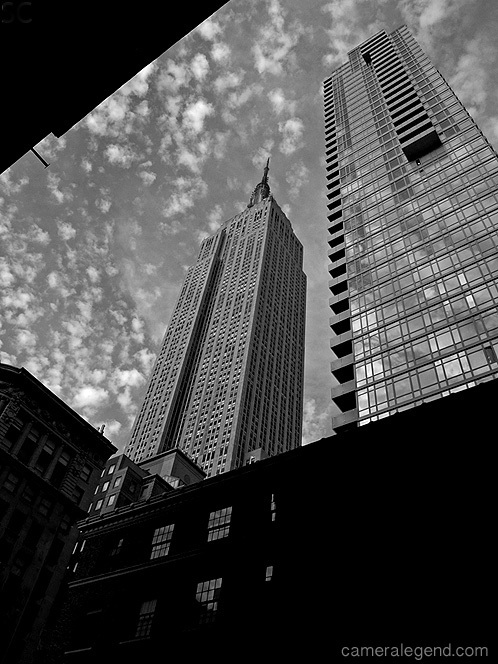 I have used the new 16mp GR and I STILL prefer the original GRD for black and white work. 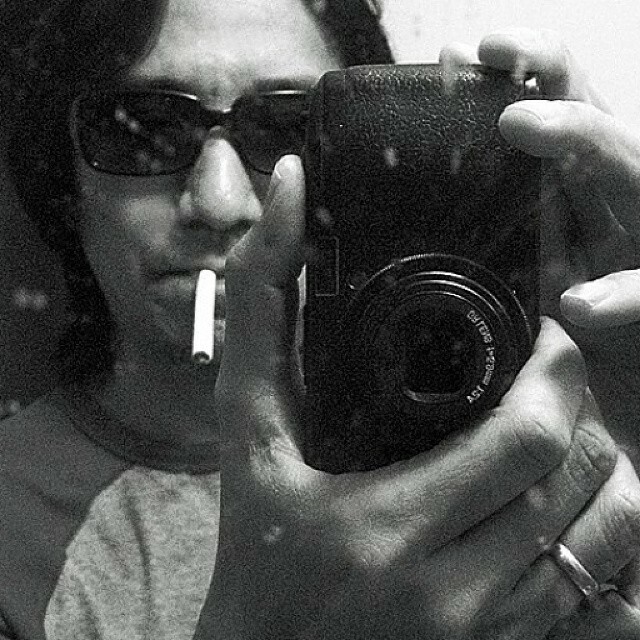 I mainly used it for street photography, but have done portraits with it too. 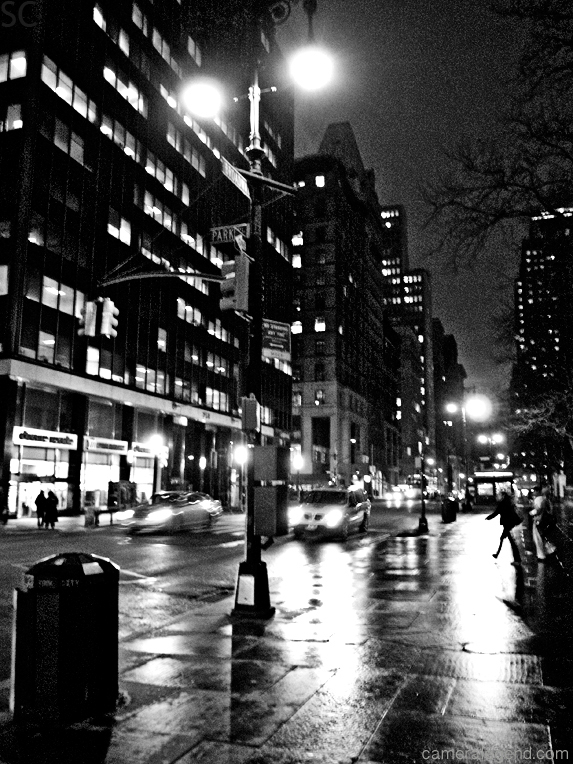 “A Rainy Night In The City” 2007. Ricoh GRD 8.1mp, ISO 800. “The Lady In Black” 2006. Ricoh GR Digital 8.1mp, ISO 200. The original GRD, and indeed, the whole GR Digital series have a cult following that began with their film siblings. If looking for one of these, from what I can see, the GRDIII and GRDIV are most plentiful on the used market. The GRDII can also be found quite easily. They are all great, but lack the b&w charm of the original. The original can still be found, but it is the oldest on the market and becoming scarce. It’s not so much that people are snapping them up, though that may also be the case. I actually think a lot of these cameras are no longer working or not working properly. “Waiting For Food” 2014. Ricoh GR Digital 8.1mp. 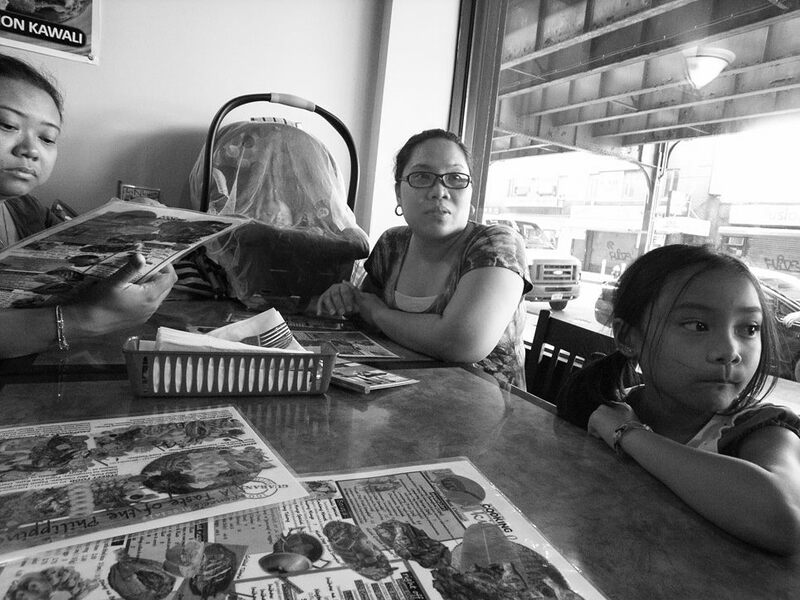 The menu looked good, but the wait at this Filipino restaurant on Roosevelt Ave in Queens, NY, took forever. I’ve had two of them. The first one I got in 2006. I used it almost every day and wore it out. It developed a well-known problem where the “ADJ” or adjust toggle fails to work and freezes the camera. You need to open the battery compartment for a few seconds and close it to restart the camera. The second one I got developed the same problem. 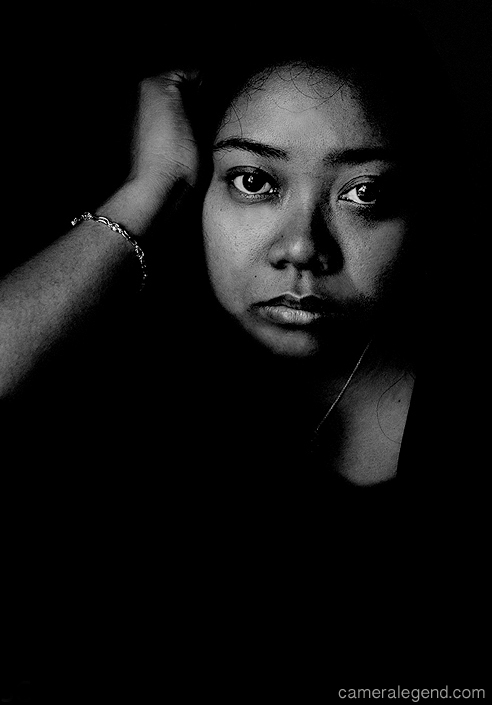 I got around the problem by keeping the camera in b&w mode and keeping it at ISO 800 and not messing with anything else. 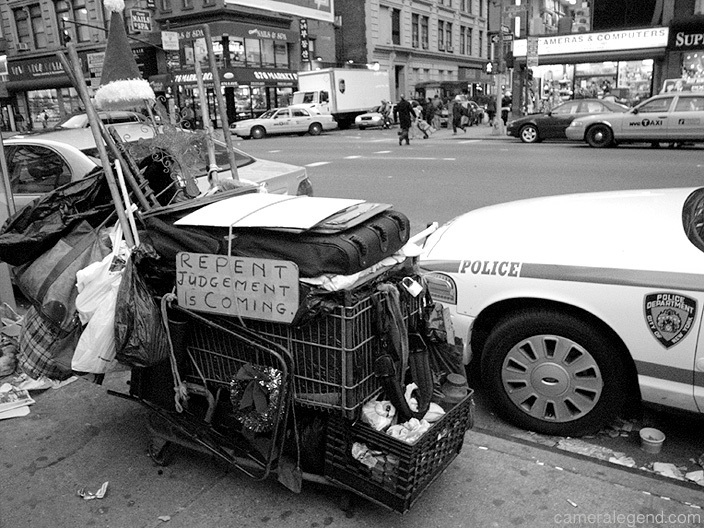 “Repent” 2008. Ricoh GRD 8.1mp, ISO 800. Anyway, these are things to be aware of should you be looking for one of these. Remember these are quite old by digital standards, but if you get a good working one, you’ve got something special. Prices are trending at $80-200 USD so I wouldn’t pay any more than that. 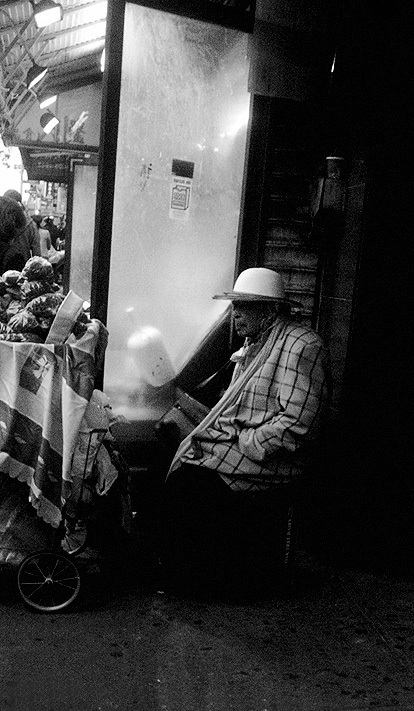 The original Ricoh GR Digital is unique and produces b&w digital files in-camera that I believe are still unmatched today. In my book, it’s a Camera Legend. If you find a good working copy, keep it! “Eagles Over Elmhurst” 2008. Ricoh GR Digital 8.1mp, ISO 64. “Grey Poupon” 2011. GR Digital 8.1mp, ISO 800. “Plant City” 2008. Ricoh GR Digital 8.1mp, ISO 100. Please click on photo for a larger and better view. “The Cart Lady” 2009. Ricoh GR Digital 8.1mp, ISO 800. “Black Rain” 2007. Ricoh GR Digital 8.1mp, ISO 800. “The Royal Flush” 2011. Ricoh GR Digital 8.1mp, ISO 800. This camera was introduced in 2006 so it is no longer available new. You may try the usual route, ie, eBay, KEH, Craigslist, B&H and I have also seen them on Amazon while searching for Ricoh GRD as well as Adorama’s USED section. You may want to try the Nikon V series cameras, such as the Nikon V1 I reviewed, which does excellent film-like color images or the latest Canon G series cameras such as the G9X or the ultra-slim G5X camera, a very cool looking camera! 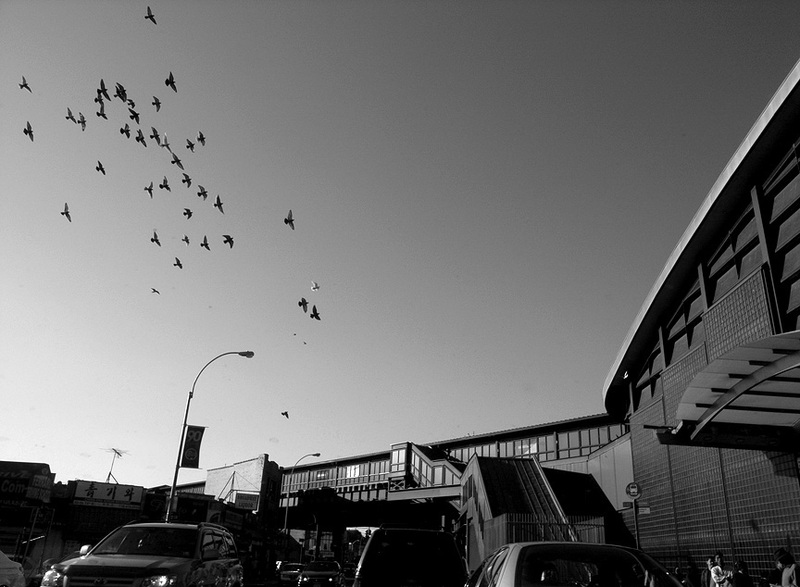 I was impressed with the b&w images using the Grainy B&W effect on the Canon EOS-M I reviewed HERE. The iPhone 8 Is A Great Street Camera! When Sony puts a “9” onto one of their cameras, it indicates that this is their TOP camera. Just when you thought the A7RII was their top dog, no friends, it is the A9. This camera has such a high burst rate that you may finally leave your top EOS or Nikon bodies behind for that once in a lifetime shot. I hope to procure one for review, but chances are some of you readers will get one before I do. Our good friends HERE will be able to get the A9 as soon as it’s in stock as well as everything else you might want to go with the camera. It’s all in the link. Thanks for supporting Camera Legend! Anyway, today we got some screaming deals!! Sometimes you get deals and sometimes you get duds. This is a real deal yes! Most of you will know that the Fuji X-T1 is an awesome and capable top end camera that produces amazing pics and it usually goes for $1299. For a limited time, you can now get it brand new for $799!! Ho! $500 off plus other savings through our partners. If you ever wanted to get the Fuji X-T1, this is it. Check out this and other Fuji Deals and if you do get one, drop back here and let me know how you liked it. I bet you’ll love it! Thank you very much, I appreciate your support. And instant rebates on the hot new Canon EOS 5D Mark IV.